In this independent SIPP comparison we compare SIPP charges from all the best SIPP providers to help find the cheapest SIPP for you. A SIPP is short for a Self Invested Personal Pension. Finding a cheap low cost SIPP is only part of the story. In order to find the best SIPP provider for your personal circumstances you must consider more than just cost. 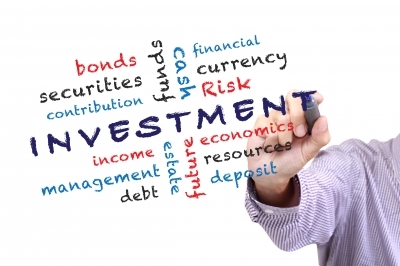 A SIPP is a DIY pension where investors can choose their own investments. The full title is Self Invested Personal Pension. Traditional personal pensions limit your investment choices to a small number of funds typically run by the pension provider’s fund managers. With a SIPP you can invest anywhere you want making your own choice of pension funds and managing them over time. That way you can ensure you are in the best pension funds and maximise your pension fund at retirement. A SIPP works in a similar way as investing in a Stocks and Shares ISA via a fund platform, the only difference is that you get income tax relief on your SIPP contributions when investing in a SIPP. Using a SIPP to build a private pension fund gives the investor complete control over their investments to hopefully obtain a greater return than using the limited investment choices of a simple personal pension product, such as a stakeholder pension. The growth of fund supermarkets in recent years has meant the cost of investing in a SIPP has fallen dramatically, often comparable with that of a Stocks and Shares ISA. If you are considering investing in a Stocks and Shares ISA read our guide – The best stocks and shares investment ISA (& the cheapest fund platform). Should I consider investing in a SIPP pension? If you are currently in a company pension scheme, particularly one where your employer makes contributions then you will probably be better off remaining in that scheme. If, however, you are investing directly into a personal pension via a pension provider then you may want to consider moving to a Self Invested Personal Pension (SIPP) especially if you are comfortable with choosing your own SIPP funds and regularly monitoring them. If you wish to learn how to choose which funds to buy and when, even if you are a complete novice, then read my FREE short series of emails which teaches you how. It takes just 2 minutes a day and is the result of thousands of hours of research and a career as an investment analyst. You will learn the simple tools and techniques that the very best fund managers use which you can too when DIY investing. Of course if you would rather someone managed your investments for you there are a number of new managed robo-advice pensions which are listed at the foot of this article. They will invest your money for you. However the rest of this article will assume you are looking to invest your own money in a full SIPP. What should I look for when choosing a SIPP provider? If you are simply looking for a cheap SIPP provider then there are a number of pension charges to consider when choosing your SIPP provider. These costs vary depending on what you invest in and how big your pension pot is. Yet the fees charged are only part of the story. Some providers will only allow you to invest in funds, others also offer access to shares and investment trusts. Some cheap SIPP providers offer a basic service while others provide a more comprehensive service including a selection of useful tools and guides to help with your investment research. Below, we include a full SIPP comparison of the costs of each SIPP provider so that you can find the cheapest SIPP provider for the size of your pension pot. However, as previously mentioned, you shouldn’t just focus on cost but instead consider value for money as well as the level of service provided. If good customer service (including helplines) as well as research and tools are important to you then you need to look beyond cost. A lot of DIY investors require the ability to buy and sell investments quickly and easily online or via an app – so make sure your SIPP provider will let you. Also not all SIPP providers allow you to invest in shares and investment trusts, something the more experienced DIY investor might want to do. So if this is important to you then check your permitted investment choices. Which is the best SIPP? one of the few online investment services (robo-adviser) in the market that offers a pension product. Read our full unbiased Nutmeg review. Nutmeg offers a choice of 10 portfolios with varying levels of risk. The portfolios are managed on a discretionary basis using low cost ETFs which invest in a range of assets. Nutmeg helps you choose the right portfolio for you once you register to open a pension. Which is the cheapest SIPP provider? If you are just interested in low cost SIPPs then use our SIPP charges comparison table below to compare UK SIPP providers and find the cheapest SIPP for your portfolio size. Our calculator takes into account the SIPP fees applied to portfolios ranging in size from £5,000 to £1million to help you find the cheapest SIPP. Online service not as slick as the likes of Hargreaves Vantage SIPP. annual admin fee £12 +VAT per month. If you are only focused on getting the cheapest SIPP then below is a table of SIPP charges compared for all the major SIPP providers. Simply look at the column that most closely matches the size of your pension pot for an estimate of the annual cost if your SIPP was held with each fund platform. All the figures in the table show the platform/SIPP charges, ignoring the underlying fund charges which are typically another 1% to 1.5% a year irrespective of which platform you choose. There has been an explosion in the number of online only companies offering managed investment services. These so-called robo-advisers tend to focus on offering their services via a stocks and shares ISA. However, a number now offer a pension product. The tables below compares the cost of the robo-advice pensions currently available. The difference between these managed pensions and the SIPPs listed in the table above is that the robo-advice companies below run your money for you whereas the above SIPPs require you to pick your own investments yourself. The first table below is comparable to the one above for the DIY SIPPs because it strips out the underlying fund charges. The second table below compares the total cost of the pension including the underlying fund charges.